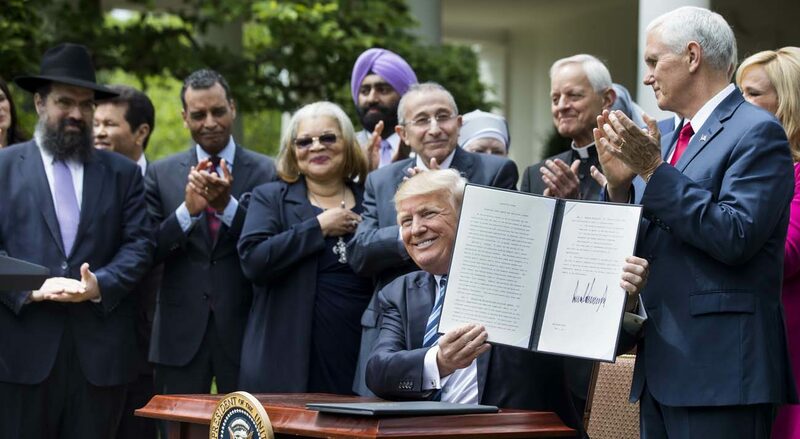 WASHINGTON (CNS) — The Catholic Benefits Association has filed a motion with the 10th U.S. Circuit Court of Appeals in Denver over a three-year-old appeal by three Cabinet departments in a case involving the “HHS mandate” that says all employers must provide contraceptive coverage. The association, which counts 1,000 Catholic institutions and privately run companies among its membership, including dioceses and hospitals, filed suit in 2014, seeking elimination of the mandate. The court granted a preliminary injunction because it believed the government’s action violated RFRA. The government promptly appealed the injunction and since then has asked for several delays to argue its appeal. Defendants in the case are the Cabinet departments of Treasury, Labor, and Health and Human Services, which issued the mandate in 2012 as part of the Affordable Care Act. The CBA wants the court to force the departments to meet a July 31 deadline the court set for them to address the association’s arguments. In a filing made July 21, the CBA, based in Castle Rock, outside Denver, said the federal government does not need to ask for yet another extension in the matter. The CBA motion cited four reasons the court should dismiss the appeal: “The parties agree that the mandate substantially burdens religious exercise. The parties agree that the mandate does not further a compelling interest. The parties agree that the departments have less restrictive means of advancing their interests. The parties agree that the mandate is illegal under RFRA,” the Religious Freedom Restoration Act of 1993. Since the preliminary injunction, “the departments have filed status reports in the CBA appeals on 10 separate occasions” — two in 2015, five in 2016 and three thus far this year — “each asking the court to delay ruling on the merits,” said the association’s motion for summary judgment in the case. Almost a month later, on May 31, an HHS draft rule was leaked to the press. The 125-page draft would exempt religious groups from the contraceptive mandate. It still has not been formally issued, the CBA noted. It remained under final review by the Office of Information and Regulatory Affairs in the White House Office of Management and Budget, according to the office’s website.